When cucumbers and natural skin care come to mind, most people will immediately think of cucumber slices being placed over puffy, tired eyes. The reason cucumbers are so often used in this way is that they contain a high amount of water which produces a cooling, calming effect. Cucumbers are also mildly astringent, helping to improve and balance skin tone. Fresh cucumbers are a popular ingredient in fresh spa and skin care treatments due to their watery texture and pleasant, mild aroma. While Cucumbers have been sliced, diced, mashed, and pureed for the sake of the spa for ages, you may be surprised to hear that the oil contained in Cucumber Seeds boasts a wealth of benefits as well. Cucumber Seed Oil possesses a remarkable amount of phytosterols. Studies indicate that phytosterols help the skin strengthen its lipid barrier, restoring proper moisture balance, smoothing the skin's surface and improving skin elasticity. Phytosterols are also known for their ability to nourish and stimulate the skin cells to encourage regeneration of healthy skin cells. Cucumber Seed Oil contains a significant percentage of oleic acid and linoleic acid and can be effective in treating dry skin, eczema, psoriasis, acne and sunburned skin. It is a good choice for inclusion in formulations for revitalizing maturing skin. Furthermore, the high tocopherol and tocotrienol content indicates that Cucumber Seed Oil would be effective in defending skin cells from free-radical damage. Users can expect a shelf life of 1 year with proper storage conditions (cool, out of direct sunlight). Refrigeration after opening is recommended. Cucumber Seed Oil is cold pressed from the cleaned and dried seeds of cucumbers. It is then carefully filtered to obtain a brilliant, clear yellow oil with a mild, fresh cucumber aroma. Cucumber Seed Oil possesses a remarkable amount of phytosterols. Studies indicate that phytosterols help the skin strengthen its lipid barrier, restoring proper moisture balance, smoothing the skins surface and improving skin elasticity. Phytosterols are also known for their ability to nourish and stimulate the skin cells to encourage regeneration of healthy skin cells. Cucumber Seed Oil can be effective in treating dry skin, eczema, psoriasis, acne and sunburned skin. It is a good choice for inclusion in formulations for revitalizing maturing skin. Cucumber Seed Oil would be effective in defending skin cells from free-radical damage. LIFE OF THE PARTY-Essential Oil Blend. Essential Oils are known to be used to help uplift the emotions, encourage relaxation, and stimulate mental focus. The finest ingredients have been specially formulated to enhance your spa experience. Simply add a few drops of essential oil fragrance to melted or liquid soap base, bath salt, bath fizzie, body scrubs, or lotion. Each package contains one 0.25 fl. oz. bottle of oil. Available in a variety of scents (each sold separately). Made in USA. 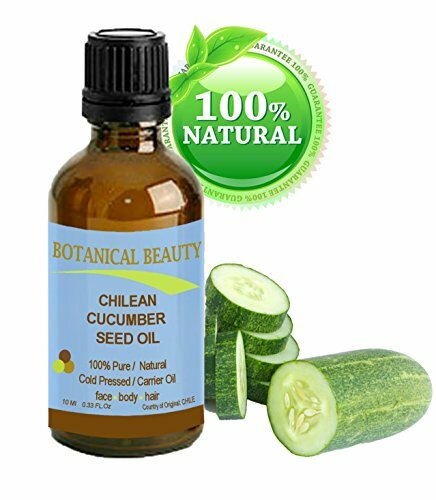 Cucumber Oil- Organic 100% Pure Natural Seed Oil Cold Pressed Unrefined 4 oz Hair Split Ends Skin Acne Eczema Dry Skin Psoriasis Sunburned Skin Purifying Effect Cucumber Seed oil helps revitalize the skin. It helps your skin to eliminate toxins, which helps the detoxifying process. This can be effective in treatments for eczema, dry skin, psoriasis, acne, sunburns, wrinkles, and stretch marks. 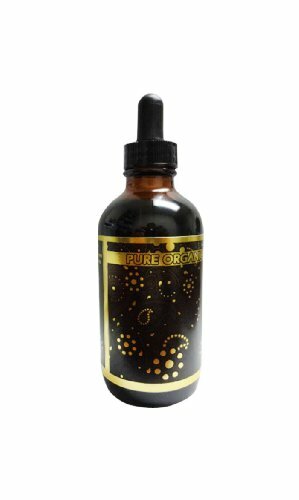 It has cooling effects and can help treat skin problems such as acne, blackheads, boils, eruptions, and eye puffiness.It has also helped some people fade their freckles. Cucumber Seed oil is also a great oil for hair. It helps build the elasticity of naturally curly hair, keeping it strong and helping prevent annoying breakage caused by weak, chemical and/or heat damaged hair. It helps encourage new hair growth and helps to reduce the chances of hair loss. Cucumber Seed Oil possesses a remarkable amount of phytosterols making it a noteworthy ingredient in personal care formulations. Cucumber seed oil contains a significant percentage of oleic acid and linoleic acid and can be effective in treating Dry skin Eczema Psoriasis Acne as well as Sunburned skin. The high tocopherol and tocotrienol content indicates that cucumber seed oil would be effective in defending skin cells from free-radical damage. Cucumber is good in hot weather especially in the summer. Cucumber oil is good for thirst and bowel movement. Cucumber oil cools the blood and has a purifying effect on the intestines. Cucumber oil may help with Diabetes, Gout, Obesity, and Arthritis. 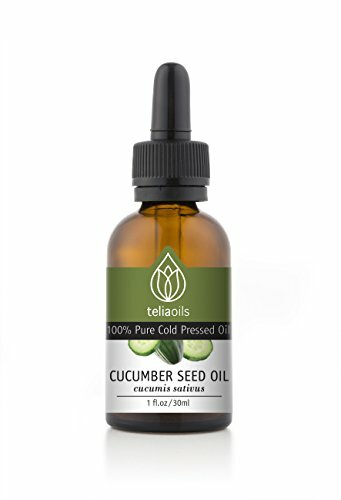 Cucumber Oil- Organic 100% Pure Natural Seed Oil Cold Pressed Unrefined 1 oz Hair Split Ends Skin Acne Eczema Dry Skin Psoriasis Sunburned Skin Purifying Effect Cucumber Seed oil helps revitalize the skin. It helps your skin to eliminate toxins, which helps the detoxifying process. This can be effective in treatments for eczema, dry skin, psoriasis, acne, sunburns, wrinkles, and stretch marks. It has cooling effects and can help treat skin problems such as acne, blackheads, boils, eruptions, and eye puffiness.It has also helped some people fade their freckles. Cucumber Seed oil is also a great oil for hair. It helps build the elasticity of naturally curly hair, keeping it strong and helping prevent annoying breakage caused by weak, chemical and/or heat damaged hair. It helps encourage new hair growth and helps to reduce the chances of hair loss. Cucumber Seed Oil possesses a remarkable amount of phytosterols making it a noteworthy ingredient in personal care formulations. Cucumber seed oil contains a significant percentage of oleic acid and linoleic acid and can be effective in treating Dry skin Eczema Psoriasis Acne as well as Sunburned skin. The high tocopherol and tocotrienol content indicates that cucumber seed oil would be effective in defending skin cells from free-radical damage. Cucumber is good in hot weather especially in the summer. Cucumber oil is good for thirst and bowel movement. Cucumber oil cools the blood and has a purifying effect on the intestines. Cucumber oil may help with Diabetes, Gout, Obesity, and Arthritis.